It is time for another Fab Fast Friday post! Fab Fast Friday is where I give you the super quick scoop on items that I am really loving lately. Ya'll know that I like to be wordy with my reviews. So, this is your chance to get the Skinny on some really awesome products that I want you to check out! Finding a good concealer can be a challenge. Especially for my skin tone and coverage needs. My skin is super-duper fair (practically porcelain). Many times even the lightest shade in a brand is not light enough. Also, I have very dark under eye circles that require some pretty intense coverage and highly pigmented concealers. 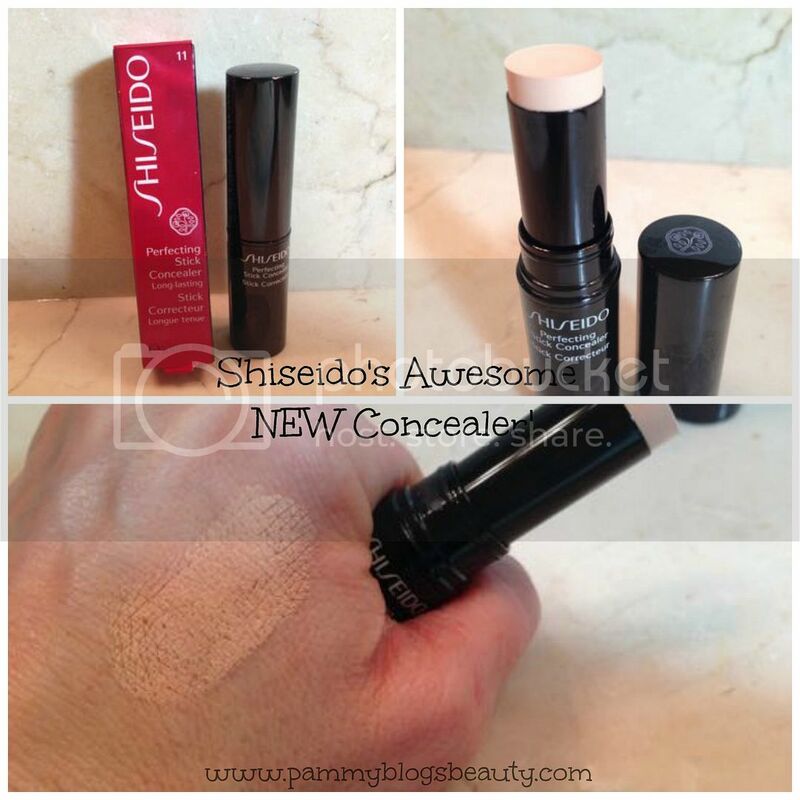 This gorgeous NEW concealer from Shiseido accomplishes both high coverage and a well-blended natural look at the same time! The formula is really inventive! It contains a breakthrough "bind & fix wax" which is a networks structure that binds liquid oil and coverage powder together in a stick form. When you apply, the network deconstructs and distributes the product effortlessly onto the skin while providing phenomenal coverage with a natural look and budge-free wear! I am so impressed!!! I do find that I like wearing this concealer best around my nose area and on my chin as well as to cover any blemishes. While this concealer does fully cover my under eye dark circles, I do feel like I need a more creamy formula for under my eyes...but, for the rest of my face, this concealer is perfect!!! I am the shade "light #11" which is a beautiful match for my skin tone. This Shiseido Perfecting Stick Concealer comes in 6 shades total. This concealer retails for $25.00. If you are in need of a fabulous high-coverage, natural looking, and long wearing concealer, be sure to check this one out!! !